Sunrise on Te Mata Peak (399m). Overlooking Hawke Bay and the Tukituki River with Napier far left. 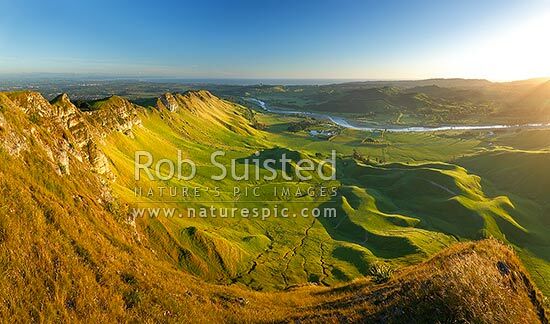 Panorama, Hawke's Bay, Hastings District, Hawke's Bay Region, New Zealand (NZ), stock photo.